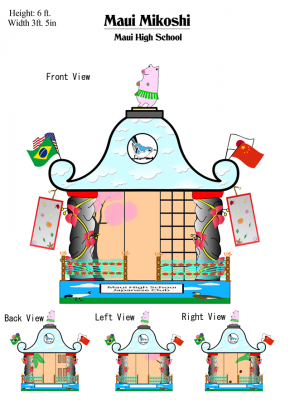 Home What's New Topics Maui High School Wins the 12th Annual Maui Mikoshi Design Contest! 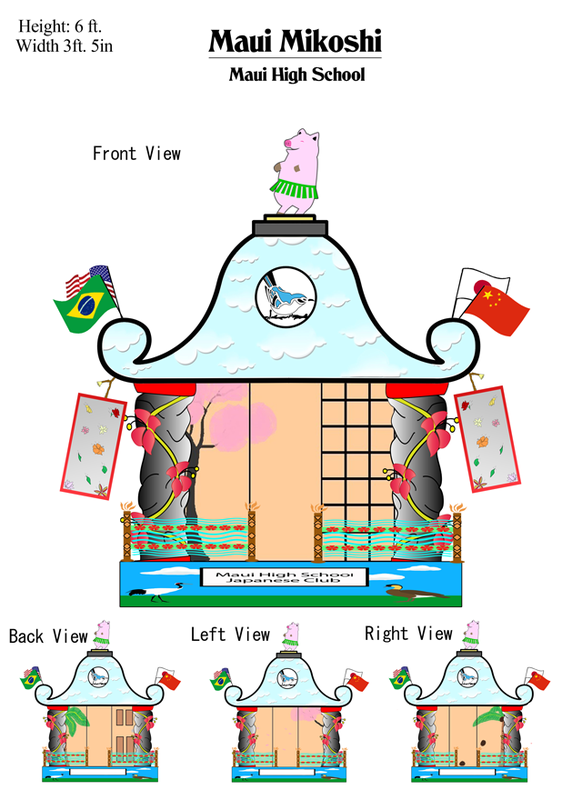 The students of Maui High School are the winners of this year’s Honolulu Festival Maui Mikoshi Design Contest. Their mikoshi will be unveiled at the Hawaii Convention Center on Saturday, March 7, 2014, and then the students will carry it in the Waikiki Grand Parade along Kalakaua Avenue on Sunday, March 8, 2015. This year’s festival sub-themeis “Creating Cultural Friendship with Aloha”, which led students to brainstorm many symbols that represented many forms of cultural friendship that connects the world. Histories of Hawaiian and Japanese culture inspired them to create a whole idea of what connected both cultures together. The blue skies on the roof of the mikoshi show white, shifting clouds. Like clouds,people change with experiences and make their way through life.Hanging off our sky roof are different countries’ flags displayed as a sign of comradery each country has given to each other. On the center of our roof, the emblem of a blue jay can be seen. 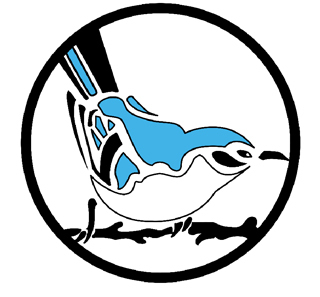 A highly social bird, the blue jay shares resemblance to people of our community. 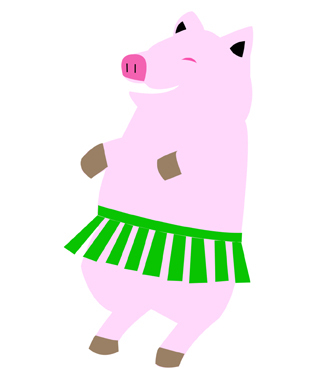 The top piece consists of a pig in a grass skirt. 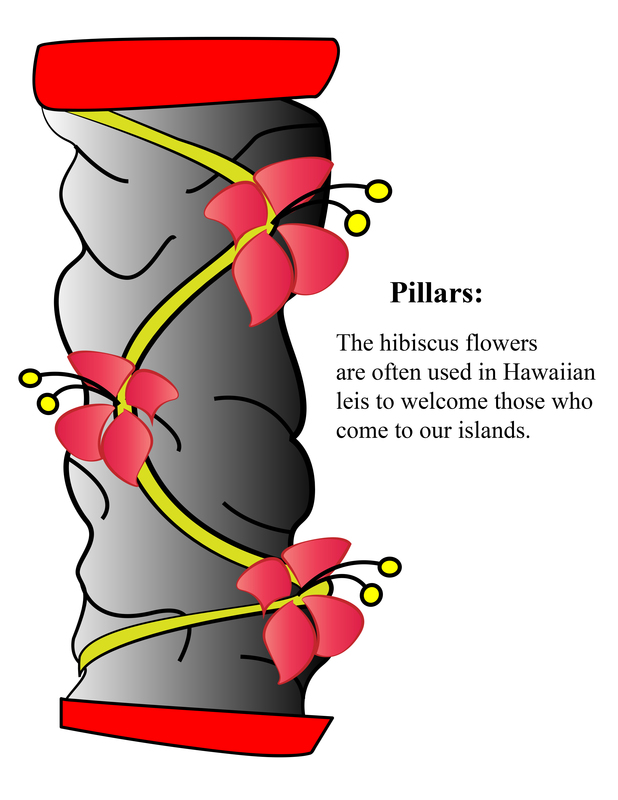 The grass skirt is part of a traditional Hawaiian hula outfit. Hula is often used as a warm welcome to tourists to our islands. Hula can also show the Aloha spirit of the people of Hawaii. The blooming hibiscus flowers and the rocky pillars show the geographical surface of our world. The vines represents the relationships that links us together. 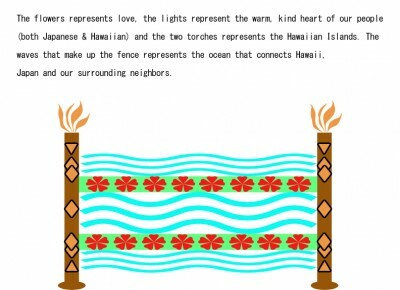 The fence, which is created by two torches each side, represents the Hawaiian Islands.Torches can be found in lu’aus, local restaurants, and walkways, lighting up the path for　everyone. The flames of the torch represents the light in the hearts of the Hawaiian people. The walls pictured as sliding doors, portrays the ideas of welcoming and invitation through features of Japan and Hawaii. The front wall (Shoji: Japanese sliding door) depicts a sakura tree extending to the left wall. 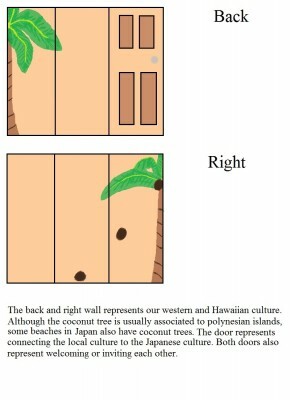 The back wall (western-styled door) depicts a coconut tree extending to the right wall. 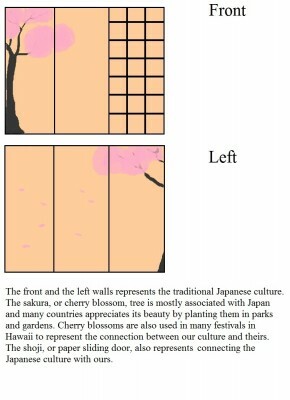 The sakura or cherry blossoms were given from Japan to the United States as a gift. These doors act as entrances that express Hawaii and Japan’s opened-mindedness to new ideas and cultures. Altogether, these walls establish a compassionate link between different cultures. The banner represents the many flowers of different countries. 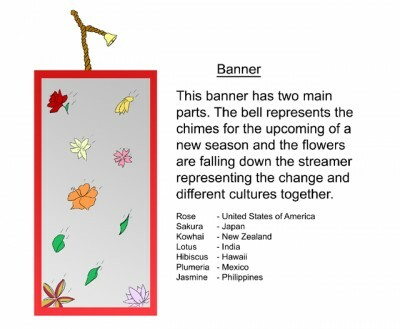 Each of the flowers together shows the different cultures from different countries coming together like a bouquet. It shows how cultures blend together and complement each other while still being different and unique in their own ways. In addition to that, the bell on top represents the chimes of each culture and how they come together to make one beautiful and unique sound. 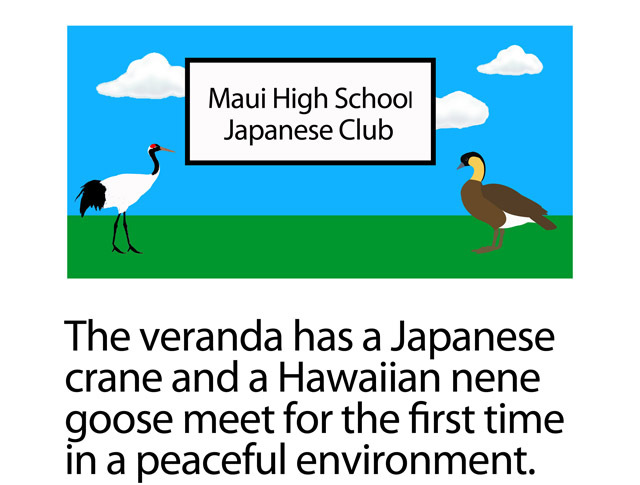 The veranda represents the two national birds of Japan and Hawaii. The Japanese crane symbolizes luck, longevity, and fidelity while the Hawaiian goose, also known as the Nene, symbolizes initiative. Even though the birds look different, both are rare birds that are only native to the countries they represent which exhibits the connection Japan and Hawaii has with each other. The time they spent as a club, working to create this design, is a time will always cherish. They sincerely thank everyone from the bottom of their hearts for giving them this opportunity. They hope that in the future they will experience these enjoyable moments once again. « 【Facebook Campaign】Leave your comment and Win tickets for “Friendship Party”! !